The compact-car segment has lost sales steam in recent years as buyers move toward crossovers. 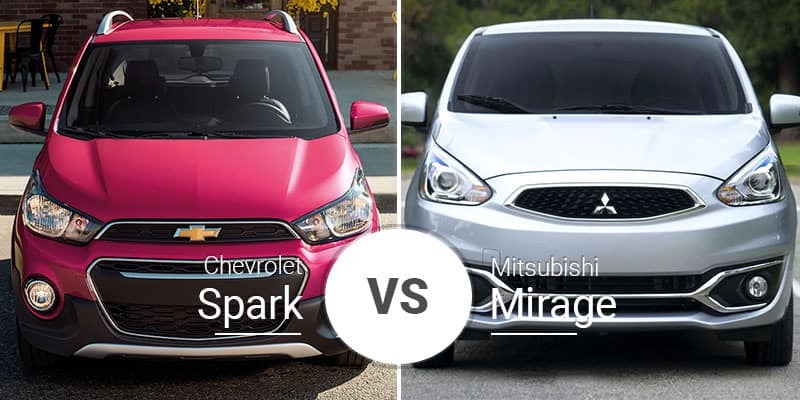 Despite this lag in popularity, Chevy and Mitsubishi continue to offer great subcompact options in the 2019 Chevy Spark and 2018 Mitsubishi Mirage. 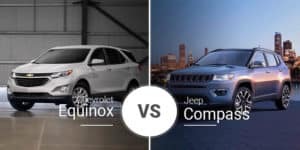 Both models deliver great fuel economy and plenty of room, but which is the better buy for car buyers in Saginaw, Michigan? Keep reading to find out. The Mirage and Spark recently went through refreshes, but the Spark’s refresh just occurred in 2019, while the Mirage’s rework came way back in 2017. And despite its refresh, the 2018 Mitsubishi Mirage still looks like a significantly older vehicle. 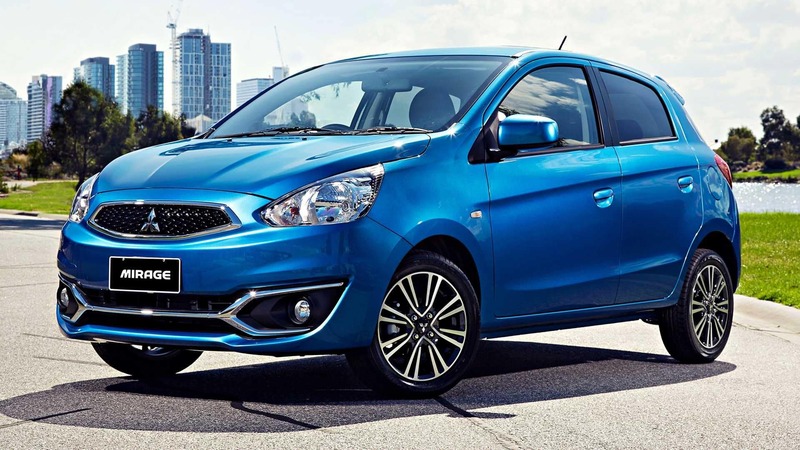 The Spark, while no styling marvel itself, looks more modern and less cheap than the Mirage. The 2019 Spark sets itself apart with its more rugged Activ model. The 2019 Chevy Spark Activ features a higher ride height, black body cladding, roof rails, and more. 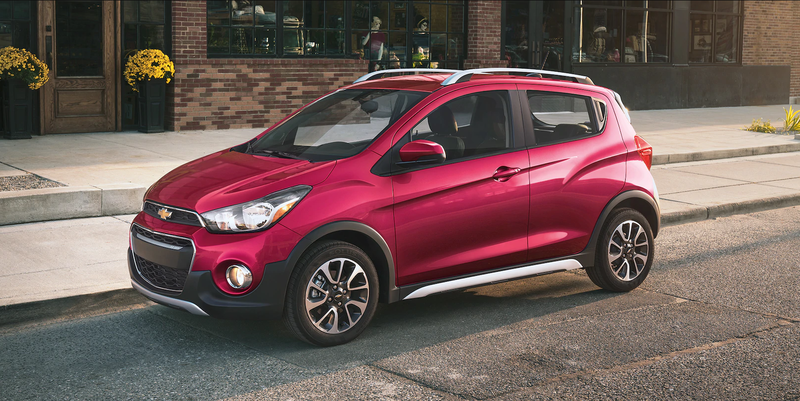 The Mirage has nothing to compete with this rugged-looking subcompact hatch. The 2019 Chevy Spark’s tiny body measures 143.1 inches long, 62.8 inches wide, and 58.4 inches tall. It rides atop an equally petite wheelbase that measures 93.9 inches long. 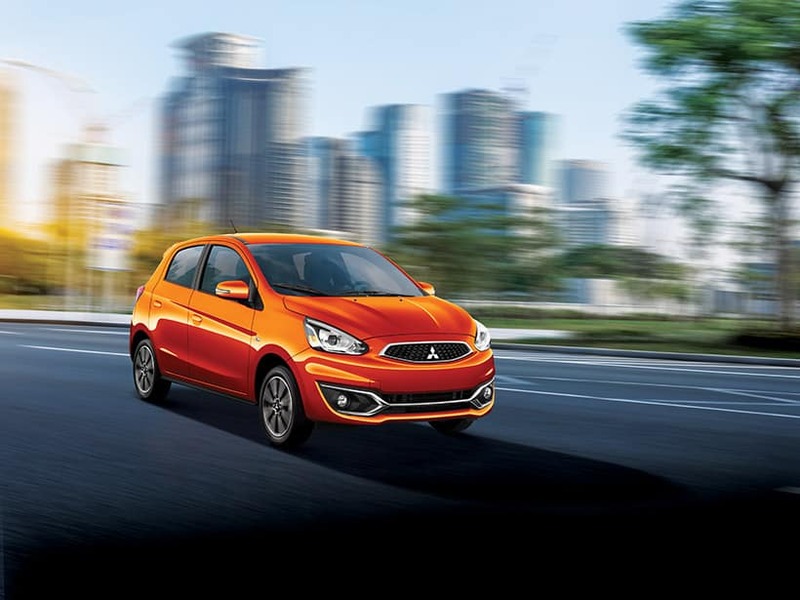 The 2018 Mitsubishi Mirage is a good bit larger than the Spark at 149.4 inches long, 65.6 inches wide, and 59.4 inches tall. Its wheelbase is also longer at 96.5 inches. While both vehicles’ small bodies make them easy to park, the Spark is over 6 inches shorter and nearly 3 inches narrower, making it even easier to park. The 2019 Mirage’s larger body allows for more room inside. Inside, the Spark offers decent room for its small footprint. Up front, it has 39 inches of headroom, 41.7 inches of legroom, 50.8 inches of shoulder room, and 48.2 inches of hip room. The 2018 Mirage’s front seats match the Spark’s legroom, but it has a little more headroom at 39.1 inches, shoulder room at 51.7, and hip room at 48.8 inches. 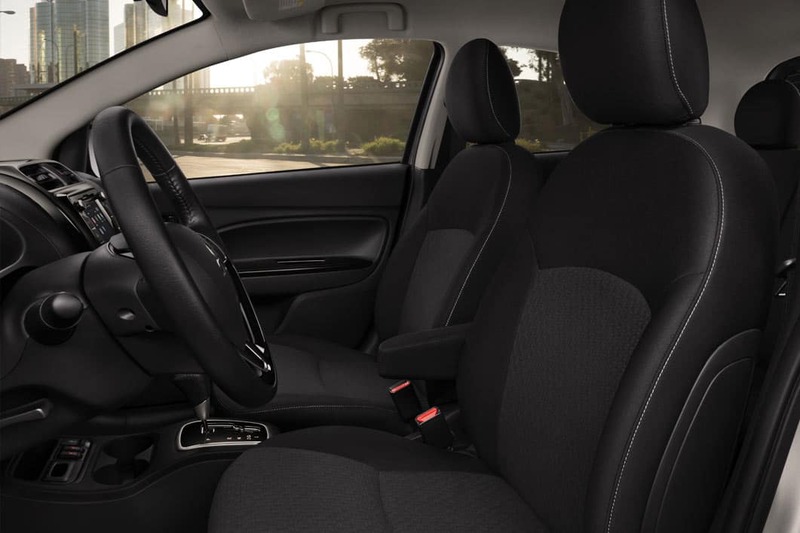 The 2019 Spark’s rear seats offer 37 inches of headroom, 33 inches of legroom, 49.8 inches of shoulder room, and 48 inches of hip room. The 2018 Mirage’s rear seat is larger in most measurements with its 37.3 inches of headroom. 34 inches of legroom, and 51 inches of shoulder room. In hip room, the Mitsubishi comes in a little tight at 46.4 inches. Cargo room is a huge deal when considering a hatchback. The 2019 Spark’s cargo area is respectable for its size at 11.1 cubic feet with the rear seats up and 27.2 cubes with the rear seat folded. The 2018 Mirage’s cargo room is significantly larger at 17.2 cubic feet with the rear seats upright and 47 cubic feet with them folded. Neither of these subcompact hatchbacks are luxury vehicles, so their cabins are basic, but the 2018 Mirage is basic and dated. They both feature 7-inch touchscreens, but the Mirage is slathered in rough, hard plastic and does little to break up the monotony. The Spark, however, boasts more contrast on the dashboard and seats, and some extra niceties to dress it up. 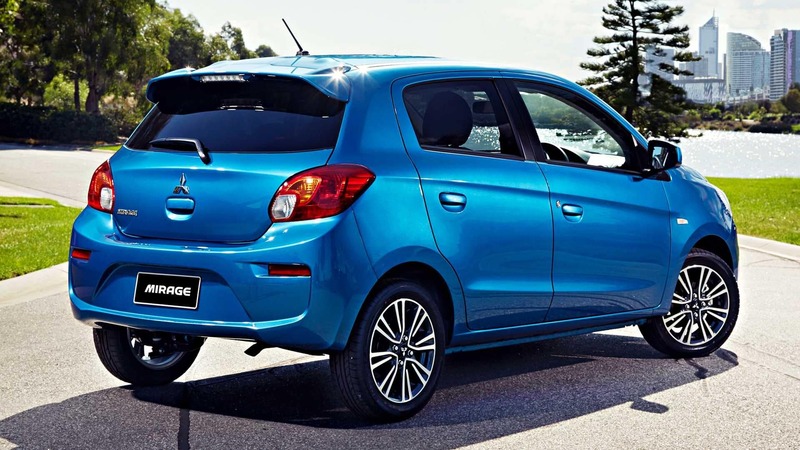 In the subcompact segment, performance is rarely an issue, and that is clear in both models. The 2018 Mirage has underwhelming power numbers as its 1.2-liter four-cylinder engine delivers just 78 horsepower and 74 pound-feet of torque. This engine pairs with a standard five-speed manual transmission or an optional continuously variable transmission. The 2019 Chevy Spark does a little more with its 1.4-liter four-cylinder engine that produces 98 horsepower and 94 pound-feet of torque. This routes through a standard five-speed automatic transmission or an optional CVT. 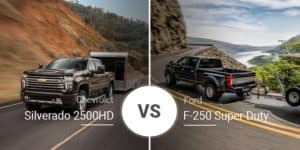 While performance is not a concern in this segment, fuel economy is a huge issue. The 2019 Spark’s EPA-estimated ratings check in at 30 mpg city, 38 highway, and 33 combined. Opting for the Spark Activ cuts highway fuel economy by 1 mpg. The 2018 Mitsubishi Mirage’s three-cylinder engine delivers better fuel economy at up to 37 mpg city, 43 highway, and 39 combined. The 2019 Chevy Spark comes in four main trim levels — LS, 1LT, 2LT, and Activ — and prices range from $14,095 to $17,495. The 2018 Mitsubishi Mirage lineup is simpler with three trims — ES, SE, and GT — that range from $13,395 to $16,095. The 2019 Chevy Spark is for subcompact car buyers looking for a slightly more premium model. Also, buyers who do more highway driving will appreciate the extra power from its 1.4-liter engine. Who Should Buy the 2018 Mitsubishi Mirage? The Mirage is a good option for buyers on a tight budget. Also, with its big fuel-economy advantage, commuters will appreciate the extra savings at the pump. 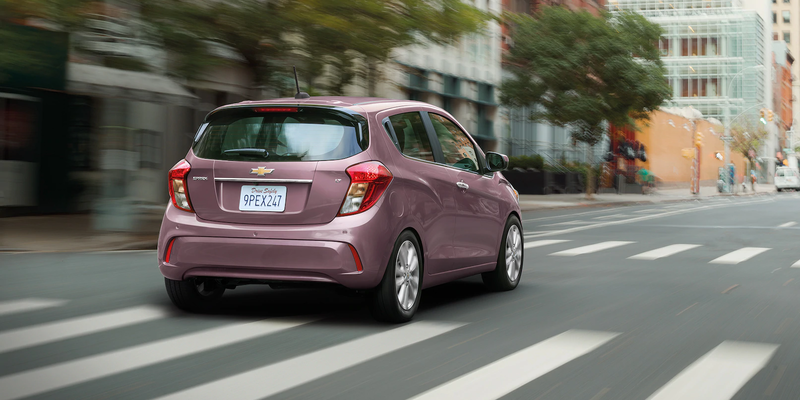 Ready to take the 2019 Chevy Spark for a drive through the streets of Saginaw, Michigan? Come visit our new-car showroom serving Saginaw and Freeland, Michigan to see what the Spark offers. Can’t make is by today? 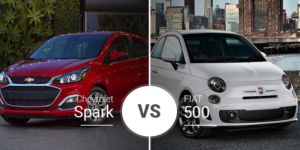 You can check our online inventory to see if we have a 2019 Spark in stock that suits your needs.